On November 21, 2009 November 21, 2009 By AngeliaIn Don't ever leave the house, Mon Dieu! and all that stuff. Or like the dead, your choice. Me, myself, and I, sleep in sweet peace AND like the dead. True story. I’ve known about my – shall we call it? – sleeping ability. Yeah, that’s it, for a while now. Notice I did not call it a disability. To me it’s not. I go to sleep. I sleep like the dead. I wake up, go to work, or whatever. No insomnia, never had it. No slight noise jerking me awake at o’dark thirty. Sweet sleep. Most times. Unless, I have nightmares. I have a standard recurring one. I watched Red Dawn so many times, that I have a dream where aliens encounter like the Russians. Their ships descend, and they rappel down on the terrified people. It gets a little weird after that, because the safe ground we run to is a cemetery. The cemetery residents come alive, crawling from their graves sites, and pushing up more than daisies. Well then, NO where is safe. I guess that’s the moral of the dream. That, and don’t let your children watch Red Dawn, Night of the Living Dead, American Werewolf in London, or Alien movies at a young tender age. Mkay? All that, and not to mention as a little girl, I would wake up at night convinced there were demons in the room with me (shudder). The only way I could go back to sleep was to sing the ONLY Christian song I knew (we didn’t go to Church), which was from choir, called My Lord. So you can see why I don’t wake up at night. I just don’t. I sleep. I learned at young tortured age -thanks mom and dad – to JUST sleep. No matter what, SLEEP. As an adult, this is really awesome. I hear about so many people, (via Facebook) that have all these sleeping problems. Not so for me, I lay my head down and I am out. BLISS, pure bliss. Nothing can wake me up. In fact, I used to set three alarms in different parts of the room. Now, thank goodness, I only need one and it’s set to crickets. I assume crickets wake me up because it’s not the freeway sounds I’m used to. The freeway is right out the back door. I don’t mean it’s out the back door, down the hill, through the meadow, and THEN there is the pesky, noisy highway. No. I mean out the back door, ten steps to the fence, over the fence is the access road, and RIGHT next to the access road, separated by an illegal exit from a traffic jam a grassy embankment, is the FREEWAY. The noisy truck roaring, trailers banging, tire wheel crunching freeway. It bothers me not a bit, because? I sleep dead sweet. So get this, I wake up two nights ago, yeah I know, I actually do arouse (in my defense the window was wide open). I hear sirens, somewhere around 4am. They started off way in the distance and get louder, and louder, and louder – then rrrruppppt. They stop. Like right outside behind my place. Then I hear another siren, rrreeeow, rrreeeeow – closer and closer – errrooowwww, rruupppppt! My thought was, ohmygosh, they are right outside! I should get up, go look, and see what is going on. I promptly fell back asleep. THEN, I wake up again (barely) my puppy is in her crate, shaking it. It’s LOUD in the room. Salem barks, and puppy Anna is making this sad little noise between a bark, a yelp, and whine. Merufferrrffft. Merufferrffft. It was the oddest thing I have ever heard. Of course I tell her to shut up, so I can go back to sleep – which I do. I’m convinced it was self-induced because – I’m just sayin’ – demons could have been around, YIKES. I’m like, “NO WAY!!!”. It hits me how Anna was shaking, and scared out of her mind, SHE wasn’t shaking the crate, what was passing over us was shaking the crate, and the whole house. I CAN’T BELIEVE I SLEPT THROUGH THAT. John told me how freaked out he was – it was sooo loud – all the walls were vibrating. He went outside. Sure enough, several emergency vehicles, and a helicopter – ON THE FREEWAY. He checked the paper the next day but couldn’t find out what happened (obviously an accident). But I know what really happened. I slept through a friggin’ helicopter practically landing on our roof. WOW. Most of you know Jason is diabetic, type 1, takes the shots. AND it is possible (and has happened) that he could go low in his blood sugar (need insulin), have seizures in his sleep, and go into a coma. Yeah, a coma. Unless, say his wife (this happened too) wakes up, calls an ambulance, and saves his life. For once, my special sleeping ability IS a disability. FAIL. However, my only answer, because obviously – my track record is very bad – I have FAITH. I have faith, that I would wake up, or Salem would wake me up. I have to believe I would know. Just know, supernaturally. So, Jason, don’t worry my friend. Sleep sweet, if the times comes, I won’t let you down. (but if we get married, we should totally get another dog just in case) I’m really proud of myself, how I obscurely threw that in. P.S. Sydney slept through it too. Yeah, if a tornado comes, we’re doomed. Happy SITS Saturday Sharefest! Thanks for stopping by Rook No. 17! Thanks for sharing your thoughts on the Turkey issue 🙂 ~ you’re so right…it is more about family than the food! I sleep like the dead too. It drives my husband crazy because when one of the kids wakes up in the middle of the night, he’ll hear it and have to deal, while I’m a million miles away in dreamland! Thanks Jennifer! Enjoy your tradition! By they way, that’s a GREAT way to go out of getting up with the kids. Genius! That is exactly how my husband sleeps. I can wake him up in the night to let the cat out and he will get up and do it and not even remember it in the morning! I, on the other hand, wake up if someone sneezes or rolls over too loudly. You lucky peeps! You will know if Jason is in trouble. It’s that sixth sense that kicks in when someone we love needs help. Or the dogs will for sure sense it and wake you. You are so right, that sixth sense will kick in. No way would get any sleep at my house, next to the freeway, and with three big dogs. LOL. Oh! A hurricane? And a top bunk crash? Wow! Well, it probably is good you don’t sleep as sound. I think with young children, you develop that ear that is awake at all times. Just in case. When hubby and I were trucking across America, we would switch off and I would lay in the bunk and instantly fall asleep. Body bouncing all over the place and still slept. I wish I could do that now. Menopause has really screwed up my sleeping habits. That is kinda scary, that you slept through a helicoptor. I think I’d sleep better in a truck. The highway noise always puts me out! As for menopause, please don’t tell me that. I love my sleep! When Syd was a baby, I breastfed her. The night feedings were the worst, I’d wake up and she’d be across the bed and I’d be in a puddle. At least I didn’t roll on her, poor thing. I sleep through quite a bit too, Angelia! And I’m with you, too – faith that when needed – I’ll wake up. For now…keep on enjoying that “ability” you have! Thank you, I know it will. It’s really a nice ability. I feel very lucky. You just took a trip, didn’t you? I know the “ability” comes in handy on those. Hotels can be really noisy. You’re right, she survived fifteen years with a dead sleeping mom. Now it’s so cute, she inherited my ability. Awww. You are worrying about the future. When Jason needs you, when anybody needs you, you will wake up. You are just not nosy and that is good. How many people would have liked to indulge in the drama on your freeway. Not you, it is none of your business so you do the best thing you can do, let go and go back to sleep. I think that is admirable, your sleeping in my eyes is a wonderful ability, about being in the moment. I do have the moment down. Maybe subconsciously, I didn’t want to see the freeway wreck. Those things are not pretty. About two years ago, I was about five cars behind a freeway motorcycle accident. Guy was laid out on the pavement. It was very traumatic, he looked bad. The newspaper said the next day, he was care flighted to a hospital, but he died anyway. I will never forget that! I, even, looked at his obit. He had a wife. Terrible, terrible thing. I can sleep any time, any where. I have even slept standing up, once or twice. Sleep is a Gift of the Gods. Seriously! I like that! Sleep is a gift! Standing up, really? I’ve heard on the toilet, in class, and many other places, but not standing up. THAT IS AWESOME! TOO FUNNY! That sounds JUST like me. Every morning after a terrible storm, everyone talks about getting up, piling into a closet or bathtub with their families. I’m always WHAT? There was a tornado warning? I didn’t hear a thing! I am sure your family would have saved you, I mean friends….that’s different, right? Oh – how I miss those days, but now with a little one and the 2nd on the way, I wake up much more easily, only occasionally am I in the sleep of the dead. 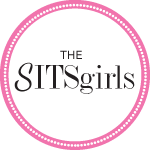 Popping in from SITS – hope you have a good day! Dude – i TOTALLY sleep that soundly too (most of the time, anyway). I slept through Hurricane Alicia as it ripped through the Gulf when I was a kid. Sooooooo not kidding about that one. Hi, Angelia! I had been here few days ago, but was too sleepy to post a comment. I have no sleep problems but just woke up at 2:00 am today just the same. So, you do sleep like a log. Enjoy it. Soon you’ll miss these sweet sleeps – once you reach you senior. Have a good one again tonight. Foxy– I have slept thru hurricanes too! Awesome! SD– Thanks for the advice. With more, and more people advising me it won’t last, I am definitely enjoying my sleeps. Hi – I don’t comment on many web sites but had to on yours. It’s very well-done! I really like how you write – very to the point, unlike a lot of other journals. Thanks for having this site. I’ll bookmark it and visit regularly. I love visiting other sites about raising a baby! It seems like there is always something to learn about it. I don’t have time to read it all right now, I found this site when looking for something else on Google, but I’ve bookmarked your homepage and will check back again soon to see what’s new. Visit my site if you’d like to read more. Keep up the fine work!